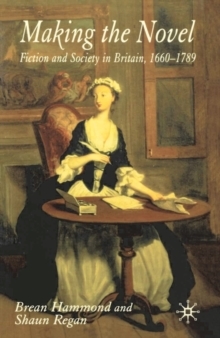 This book advances a new cultural reading of the formation of the British novel. Rejecting a teleological narrative of the genre's 'rise' and through close analysis of key texts, the authors present a dynamic picture of the emergence of the novel, which focuses upon formal innovation, social engagement, and artistic and commercial competition. Pages: 280 pages, 280 p.